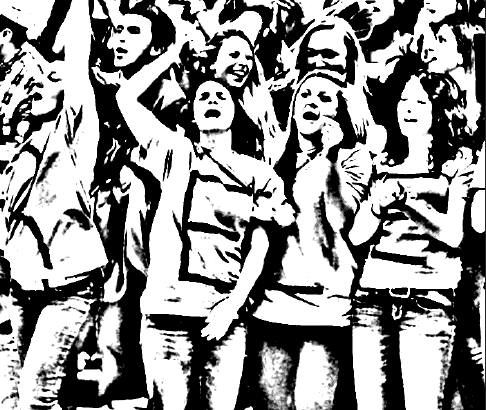 With basketball season midway, it is a prime time to evaluate the importance of fans and analyze their behaviors. Fans are an integral part of any sport. Fans are not only important for support of whichever team or person they are rooting for, but also for the success of the major business of sports. Without fans, the money needed to keep the sport running smoothly would not be substantial enough to keep it going. In conjunction with business success, the players need the fans as support as well as encouragement. However, sometimes fandom goes to the extreme and that is where the problem lies. Sometimes people are overzealous as fans. Posters, attire, and comments are all acceptable ways to express support. But when support goes from positive things to negative things about the opposing team or player, such as derogatory statements, throwing objects, and physical altercations to name a few, that is when it becomes unacceptable. On March 31, 2011, a San Francisco Giants fan was beaten to the point that he suffered from brain damage. The reason for this brutal beating was extremely juvenile; two Los Angeles Dodgers fans were upset about the recent defeat of their team by the Giants in the season opener, causing them to take their frustrations out on the Giants fan. Cases like these do occur occasionally but overall fans have a positive impact on the sport or person they are supporting. Fans are needed and most of them are very positive. However, there are certain rules or etiquette they need to adhere to in order to have some boundaries. These rules are important in preventing senseless deaths or injuries over something that should just inspire unity and enjoyment. With basketball season in the past, it is a good time to look back and reflect on the fandom. As mentioned in the article, it is very important to the players’ morale when they are on the court, but on the other hand this fandom can sometimes get out of hand. It is good to see that TRN is taking up issues that are present within the high school. Articles like this are very effective as they inform the student body of the benefits, and consequences, that this new found fandom brings about. Oh, fandoms. How I love thee so. I’m not sure why it’s always referred to as a sports only problem, however, and since I’m not really into basketball, I figure that I can relate the topic to other things. Video games, television shows, and even books have ridiculous fanbases. From Harry Potter to Twilight to Call of Duty to iCarly, there are fans that take what happen on the show personally and start wars and riots, not unlike the sports fans the author describes (though usually these wars are waged on the safety of the internet). I think all fandoms, not just sports ones, need to be told to calm down. It’s just a game. I really liked the topic of fan behavior in this article. It was good how the author pointed out the good and bad of fans with sports. I agree with the author that there has to be limits on how the fans behave. I have been to many school games where fans become ugly with other fans, team or refree i have even seen parents behave badly. I think that every person just needs to remember that sport games are for fun and entertainment not for arguing and fighting. First of all, I just want to say whoever came up with this title is a genius; good choice of words! Anyways, inside our highschool, despite occasional inappropriate behavior, our fans are just being teenagers and giving our players something to impress. We come together as a school while cheering and loudly expressing our views. However, in the case of extreme instances where fans fight each other, I feel fandom can sometimes get so emotional and extreme it is almost silly. Why you would be so upset you hurt someone, yet you are not even on the team, is beyond me. This may be slightly understandable on a highschool level (though it is not acceptable) because you know people on the team. But it always kills me to hear about NFL or NBA game instances, when you know the participators are not even acquainted with anyone on the team. It is fun to get upset and emotional over opposing teams and supporting your school. Cowboy, Eagles and Redskins are always playfully arguing with each other in the hallway. But I think what everyone needs to remember, on all levels, is that it is just a game. I feel like fandom is what brings the students of Prince George High School together. If anyone attended any of the boys’ varsity basketball games they will see just how spirited many individuals are. Even though coaches and players say that the fans add excitement to the games, some of these students get out of hand with the chants or signs they may come up with. This article did a good job at pointing out how dangerous these negative statements can be and with the example, maybe it will open some eyes in the possible outcomes.